After Steve Chow stopped doing 30 films a year to focus on bigger projects, Hong Kong went through a state where the genre of mo lei tau was sort of a walking dead. But before the bullets where put through the brain, several pretenders to the throne were marketed. Nick Cheung was just not very funny, but Ronald Cheng at least had some of the childlike charm mixed with perversion and quick wit that was Chow’s claim to fame. Not enough to capture the thrown and come out with 30 films of his own each year, but enough that he could do at least one. Cheng’s acting style was to hold nothing back, often screaming his lines and charging forward, no matter the ridiculous situation, and going with the flow whether situations become dangerous or completely wacky. And much of Hidden Heroes is wacky. It is a mo lei tau film, and done well enough you could see Steve Chow starring in it, but not so mo lei tau that people start dancing in the streets. The tonal shifts remind me a lot of the Fight Back to School films. 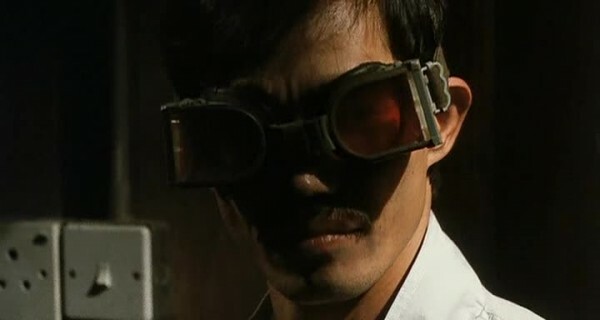 Hidden Heroes is also that rare genre of Hong Kong Science Fiction. 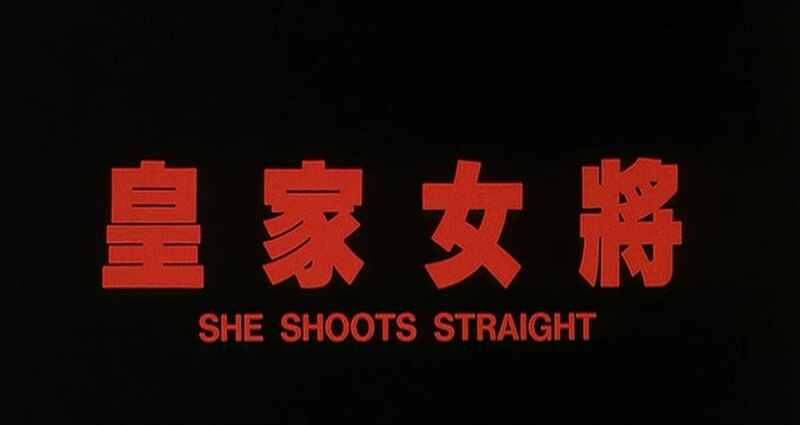 Not with kung fu masters flying around shooting cartoon rays, but with time traveling robots. And that will bring out comparisons to The Terminator, even though the films are almost completely different. The movie itself even references The Terminator. 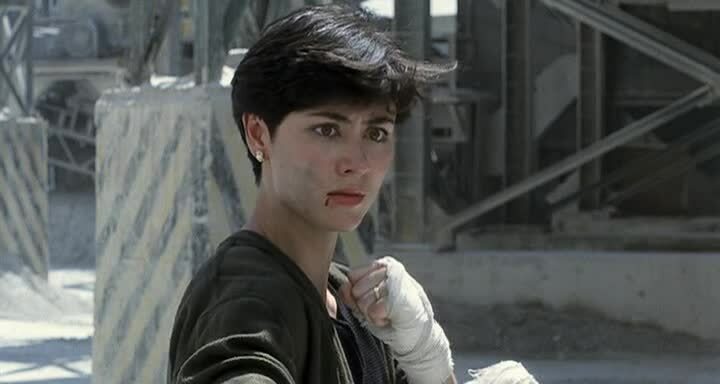 Because of the nature of Hong Kong cinema, Hidden Heroes becomes a few other genres as it goes along, sometimes tacking serious as the framed cop/corrupt cop story plays out. This film is also where Charlene Choi and Ronald Cheng worked together enough to fall in love and eventually get secretly married. Their marriage was finally discovered by the Hong Kong press just in time for them to divorce. Another fun fact about Ronald Cheng is that in 2000 he got so drunk and disruptive on a flight it had to make an emergency landing to kick him off, and the pilot beat him over the head with a flashlight. This became the “air rage incident”, because every story in Hong Kong press has a definitive name. The craziness stalled his singing career for years, and he was just getting back into the swing of things as Hidden Heroes was made. Officer Ho Yoiji (Ronald Cheng Chung-Kei) – Our hero is a lazy coward who spends most of the film plotting to kill the love interest while being engages to another love interest. That is, when he isn’t running away in fear from mad bombers, robot girls, and corrupt cops. And yet, Ho Yoiji is likable, and you want to see him succeed and not be murdered on his appointed date in history. Mei Ling Chan 1872332 (Charlene Choi Cheuk-Yin) – In the future, there are millions of Charlene Choi robots running around. That seems cool, until you realize what most of them are probably being employed as, and then it all gets disgusting! Robot 1872332 gets blown up. See Charlene Choi also pops up in Protege de la Rose Noire and Beauty on Duty! Mei Ling Chan 1872333 (Charlene Choi Cheuk-Yin) –Whoa! I guess hair styles in the future are now mimicking Bride of Frankenstein! Robot 1872333 replaces 1872332, and it is her duty to keep Yoiji alive long enough for him to die when he’s supposed to die. Sometimes, she doesn’t have a leg to stand on. Mei Ling Chan (Charlene Choi Cheuk-Yin) – Another Charlene Choi robot? Nope, this is the actual Charlene Choi, or Mei Ling Chan, who works making fake passports for criminals until she crosses paths with Ho Yoiji. Then it’s love, and crazy, and love. Love means never having to say your sorry for shoving Yoiji into a washing machine after lying about his fiancee. Inspector Cheng Wai Ming (Raymond Wong Ho-Yin) – He’s the chief, and he’s corrupt! Ho Yoiji is partially responsible for the death of his lover, and also inadvertently picks up the key to the secret money stash the two criminals had. So now Yoiji is a target. Look out, Yoiji! Officer Zhang Kitt (Qin Hailu) –Kitt is the only competent member of the police force who isn’t evil. Gets caught up in all the Ho Yoiji hysteria, but is eventually proven right. Qin Hailu is not exactly a comedic actress, and plays her role strictly straight. It sort of works, but it also makes you wonder if she knew it was a comedy film. Mayumi (Higuchi Asuka) –A former dancing Geisha, now engaged to Ho Yoiji until the time traveling robots show up and his life gets flipped, turned upside down. We don’t have a minute to rap, so basically they agree to see other people.